Simple, comfortable, and perfect for relaxation, it's time to discover our hidden gem on Hawaii's Garden Island. Stay along Kauai's sunny Coconut Coast, where flowering nature and dazzling waves are everywhere you turn. Hawaii is the perfect place for destination weddings, relaxing vacations, or epic adventures. Whatever your heart desires, our Kauai hotel is located near Hawaii's best attractions and things to do. Famous for their spacious interiors, our guest rooms, suites, and cottages provide impeccable comfort and generous amenities, which have made us one of the favorite Kauai hotels for true R&R in Hawaii. Staying here is so relaxing that you won't want to leave our island paradise in Kapaa. Bring the whole family to Hilton Garden Inn Kauai Wailua Bay, where we offer wonderful kid-friendly amenities. Our Kauai hotel is located beside Lydgate Beach Park, which is great for swimming and holds the magical Kamalani Playground and Play Bridge for the little ones. We also offer complimentary beach mats, coolers, and towels. Wake up to the beauty of Wailua Bay at Hilton Garden Inn Kauai Hotel. Our guest rooms, suites, and cottages offer wonderful, modern features for the most relaxing holidays. One of the favorite Kauai hotels for value, we can't wait to welcome you to our island paradise! We invite you to enjoy the many amenities at our Kauai hotel. 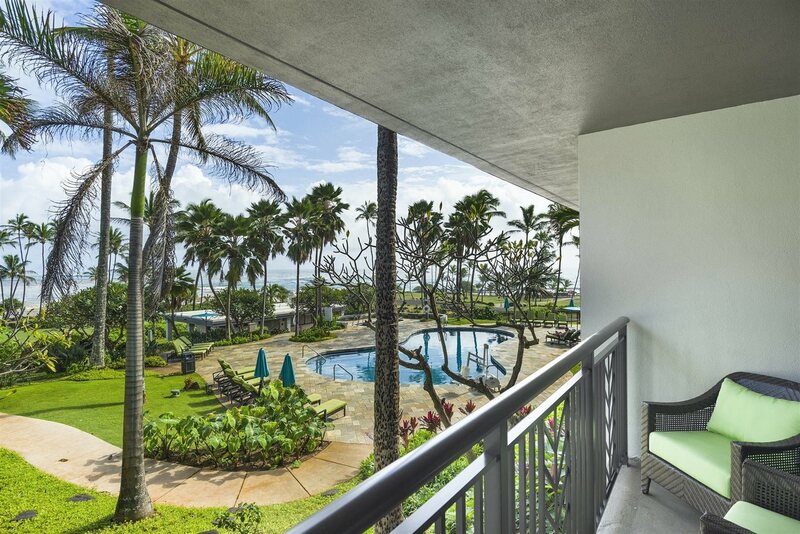 Overlooking Lydgate State Park, we offer two pools, a whirlpool, & lounge chairs. Keep up your daily routine in our Kauai hotel's wonderful fitness center, filled with state-of-art exercise equipment, yoga mats, & weights. 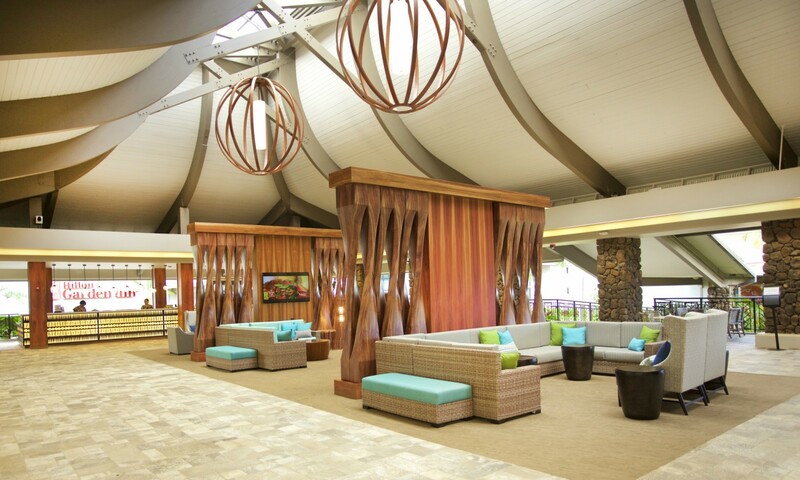 Plan your next event at our Kauai hotel with 7,000+ square feet of space for up to 350 guests. Each venue offers natural light, Wi-Fi, & delicious catering options. Open from 6:30 am to 10 pm everyday, Garden Grille Restaurant & Bar offers delicious menus for breakfast, lunch, & dinner, where American cuisine meets Hawaiian flavors. Discover Hawaii's Flowering Nature, Wild Adventures, & Water Sports at our Beach Hotel on Kauai. Amazing things to experience are steps from our Kauai beach hotel. Nearby natural wonders, like Opaekaa Falls and Fern Grotto, are just a short distance away. Guests can enjoy Wailua Golf Course, Sleeping Giant trail, and many kayak tours. We're also beside Lydgate State Park with its idyllic beach for swimming, water sports, and picnics. First visit to Hawaii for the two of us and we were really happy we chose the Hilton Garden Inn.